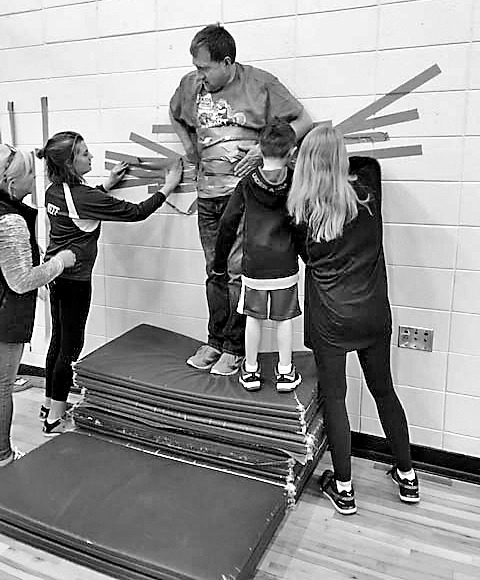 The students and staff of Eagle River Elementary School recently crushed a $600 fundraising goal for the Leukemia and Lymphoma Society, raising a total of $1,168. The money raised goes toward research and patient support for those experiencing a blood cancer. Students were motivated by the “Stuck for a Buck” incentive. Any student bringing a dollar or more to donate earned a piece of duct tape to stick a staff member to the wall. Students voted and Assistant Principal Eric Becker took the most votes. School counselor Erica Lane organized the event, while fifth- and sixth-grade students helped to empty the change, organize bills and transport funds to her vehicle. Seven students worked to haul the $802.45 in change due to the weight.